Active demand from our clients use the hair on the tapes. Composed of only natural hair without admixture of synthetics. Minimum coating of special composition, gives the smoothness to hair on the tapes. European hair type, require additional care and moisturizing! In one set of minimum 40 strands. The weight of one set of 100 grams. One tape, width 3-4 cm. The height of the tape no more than 1 cm. Thickness less than 1 mm. Wider tape hair will be visible on your head. Duct tape mat as glossy flashes through the hair. Since all hair strips are made from natural hair, the wizard has the ability to pick up the strands are as similar as possible to the structure of the client’s hair. 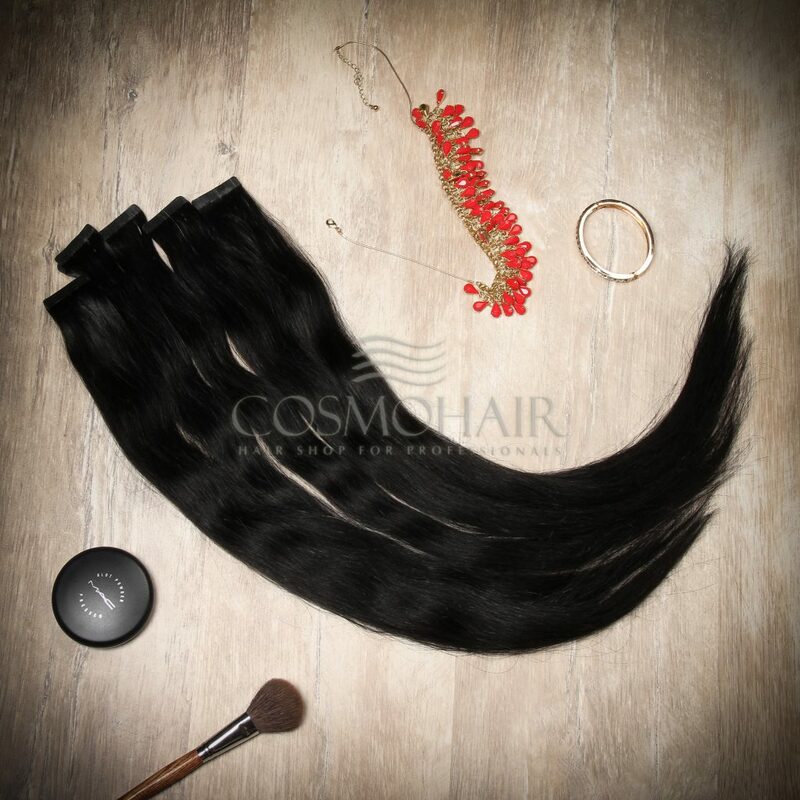 Tape hair extensions is considered to be one of the easiest and safest ways to cool. Tape technology build-up is that strands of hair on a special adhesive tape (width one tape 3-4 cm.) gently attach themselves to the roots of the hair. Does not require thermal and mechanical effect. The whole procedure takes 40 building-60 minutes. Are accrued 1-2 month strands, then a correction of the hair. In this case, no matter how many corrections you have made, the length of the strands will not change because old tapes is not cut off, and changing only the adhesive layer on them. Want to buy hair on ribbons? Call in our company is free 8-800-100-01-28 or send us a request.